In a quiet section of Beebe Woods, stands the 1876 Historic Highfield Theatre. However, before this classic Summer Stock Theatre opened its doors to audiences in 1947, it housed a very different patronage. Originally built as a barn and stables, Historic Highfield Theatre was an out building of Highfield Hall, providing the homes for Pierson Beebe's prized horses, Salaam and Ali Baba. In 1947, Arthur Beckhard purchased Highfield Hall, Barn and Tanglewood Estate along with 200 acres of beautiful Beebe Woods with the intention of housing a summer theatre, originally conceived as "Tanglewood Theatre". In 1949, the company eventually went belly-up and the following 10 years saw numerous companies utilize the charming theatre during the summer and off-seasons. It wasn't until 1958 that the Oberlin Gilbert & Sullivan Players from Oberlin College, under the guidance of Dr. W. Hayden Boyers became steady summer tenants of Highfield Theatre providing Falmouth and Cape audiences with masterful productions of Gilbert and Sullivan Comic Operas and American and European Operetta. 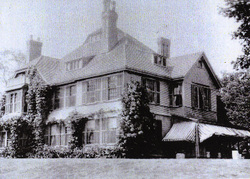 It is to their credit that the Highfield Theatre summer light opera and musical theatre tradition was established. Audiences were dazzled by a fine voiced vocal company, a live 30+ orchestra and fully produced shows with costumes, scenery and sets. 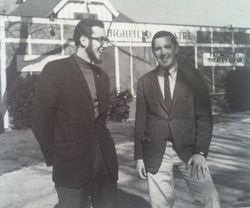 In 1969, Oberlin G&S ceased their Cape Cod operations and moved the summer company to Oberlin. Unwilling to let the summer Cape operation demise, former Oberlin G&S members Donald Tull and Robert Haslun founded a new company, based upon the Oberlin players. And so was born the College Light Opera Company! 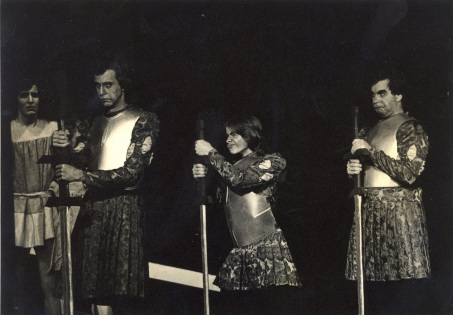 Securing various costumes, props, furniture and a list of 1968 Oberlin G&S patrons, the two founders embarked upon a wild and tumultuous journey to bring Light Opera and Musical Theatre back to Highfield Theatre. The two producers steered the burgeoning company through that first season, bringing together many former Oberlin company members as well as undergraduates and graduates from other colleges and universities. At the end of the season, the company was able to balance its books and embarked upon another journey into summer stock. The next few years, CLOC would begin to establish itself as perennial summer activity of the Cape Community. Fortunately for the company, it was during this time that the Cape was becoming a significant holiday and retirement destination for New England and the Northeast. The company benefited from a wealth of talent, seeking the training and experience CLOC offered. In 1970, a full orchestra was brought back, along with a wider scoped repertoire of both operetta and musical theatre. CLOC was on its way! In 1974, CLOC faced a crucial turning point. Up until now, it had made use of the Tanglewood Estate to house the company members during the season. The former victorian mansion had been converted at some point into a hotel and suited the company quite well. Numerous bedrooms, bathrooms, dining rooms and a rehearsal barn provided all the basic amenities needed to produce musical theatre. However, at the end of the 1974 season it was made aware that Tanglewood would be slated for demolition. Fortunately for CLOC, it secured housing at the recently closed "West Falmouth Inn" on Chapoquoit Road. No sooner had the Company moved over to its new West Falmouth Campus that provided 4 cottages, a huge industrial kitchen, separate costume shop and rehearsal space, that it was notified than the campus was due to be sold and converted to a public park. Once again, the Company rose to the challenge and appealed to its many supporters and donors and in 1979, the company was able to purchase the entire estate from its landlords, thus securing its footing for future generations. The decade rounded off with a production of Gilbert & Sullivan's The Grand Duke in the 1979 season, completing the G&S canon. The 80s and 90s saw a huge growth in the company's repertoire. It was during these two decades that CLOC saw the greatest growth in its repertory and increase in applications and patronage. While the 70s had been a decade of establishing the company's reputation and membership, the next two would carve out the company's sound, vision and mission. Notable productions that premiered during this time were The Dollar Princess (Fall), Plain and Fancy, Man of La Mancha, George M!, West Side Story, Robert and Elizabeth, Fiddler on the Roof, and the smash hit A Funny thing Happened on the Way to the Forum. "Old Man River" As sung by Ryan Speedo Green in the 2008 Production of "Showboat"
As CLOC entered the 21st century, it continued to produce high quality productions and provide intensive training to its 32 member vocal company, 18 piece orchestra and 12 member technical and costume crew. While the number of CLOC premieres began to decline during this time, due only to the fact that the company had exhausted most of the suitable repertory, the company continued to revive classic musicals and breathe new life into European and American Operetta. A very special production took place during the 2008 season with the CLOC premiere of Jerome Kern's Show Boat starring Ryan Speedo Green (now in-residence at the Metropoltian Opera) as "Joe", and Dominique Sharpton (daughter of the Reverend Al Sharpton) as "Queenie". Led by veteran directors John Lucas and David Weiller, the production underscored the huge significance of the 1927 musical, sensitively addressing the racial and musical tensions. 2015 marked the last summer under the skilled management of producers Robert A. and Ursula R. Haslun. Upon their retirement, E. Mark Murphy and Mark A. Pearson took over as Executive Director and Artistic Director respectively, ushering in a new chapter in the company’s history. As it embarks upon its 2019 Season, CLOC carries with it a long-lasting tradition of not only producing high quality theatre, but also maintaining its core mission: to be America’s premier training ground for aspiring performers and technicians. 2014 production of "George M!"